Designed and built in the UK, AutoNaut is an unmanned surface vessel which uses the motion from the ocean to propel itself forward. The patented ‘Wave Foil Technology’ fitted to AutoNaut enables offshore deployments for multiple months harvesting data from the ocean. As AutoNaut does not have an engine it is silent, so is the perfect platform from which to deploy passive acoustic monitoring (PAM) hydrophone arrays, providing a covert acoustic intelligence (AcInt) capability. All the energy generated by solar panels on the deck is delivered to onboard payloads, so a number of high tech sensors can be persistently deployed offshore reducing cost and risk relative to an equivalent manned vessel. AutoNaut Ltd has also integrated the YSI EXO2 Sonde multi-parameter water quality and oceanographic sensor. Provided by Xylem Analytics UK, this sensor coupled with a weather station can feed valuable in situ metocean measurements. David Goldsmith is the Director of Ocean and Coastal Business at Xylem Analytics UK and said “The EXO2 Sonde sensor package is a great fit within the AutoNaut, as it can pack a number of useful sensors into a small, low power instrument, especially useful for deployment in small unmanned vehicles. The EXO2 Sonde can deliver a wide range of data, including dissolved oxygen (DO), pH, conductivity and temperature, all valuable for the Geospacial Intelligence (GeoInt) theme at Unmanned Warrior." The Unmanned Warrior exercise is run by the Royal Navy and is an exciting opportunity for engineers and scientists to demonstrate state of the art technology. 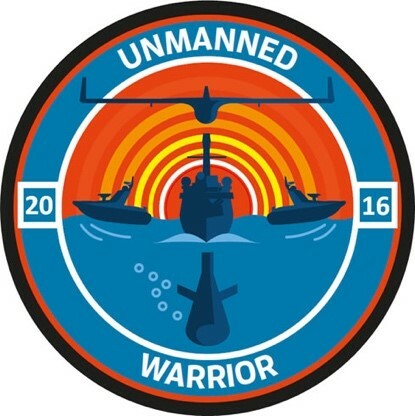 Unmanned Warrior is the biggest exercise of its kind and will explore the ideas that will help shape the future of Naval Warfare for decades to come.